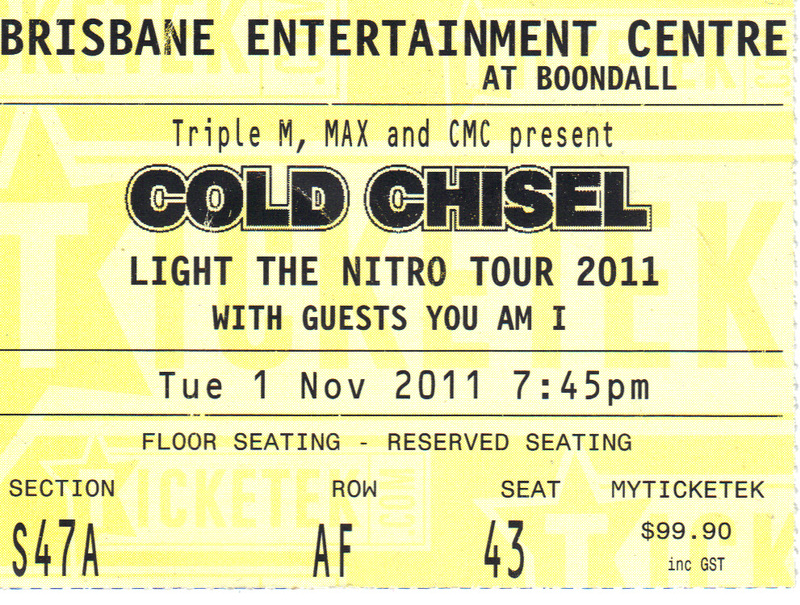 The 2011 Light the Nitro Tour was the reformed Australian band Cold Chisel’s biggest tour in 30 years. The 24-show tour, which started in October 2011 and wound up at the Brisbane Entertainment show on 13 December 2011, has been hailed the biggest ever by an Australian-based band with more than 300,000 tickets. It was Cold Chisel’s 1978 debut album that was the beginning of a truly authentic Australian voice that spans generations. Dr Glenn Davies looks more closely at the first single from this album, Khe Sanh. Cold Chisel, the legendary Australian pub rock band will headline the 2012 Byron Bay Bluesfest on 5 April 2012, although many Cold Chisel fans are still basking in the afterlife of the 2011 Light the Nitro Tour. Cold Chisel's core strength has always been that they’re a real band: multiple songwriters, multiple singers, five strong contributors. Although the death of drummer Steve Prestwich in early 2011 was a savage blow to Cold Chisel, they did his memory proud during the Light the Nitro Tour. Over two hours, they played songs from every part of their career, from the confident opener Standing on the Outside to the triple shot of Flame Trees, Bow River and Khe Sanh. You know you're truly Australian when you can’t sing the second verse of the national anthem, but will happily belt out Khe Sahn at the drop of a hat. Their music evokes all the joys and angst about what it means to be Australian. The iconic symbol of Cold Chisel comes from their Last Stand concert tour in 1983 as the band, born on the Adelaide pub scene a decade earlier, broke up at the height of their success. 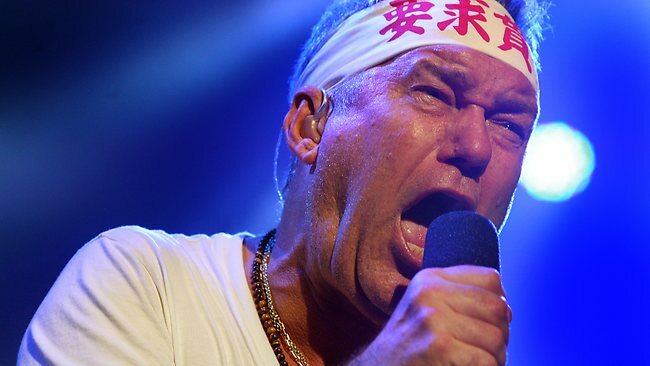 Australians of a certain age can all recall Jimmy Barnes, his long, matted hair soaked in sweat, holding a bottle of booze and a microphone aloft to the adulation of an ecstatic crowd. Barnes was once the poster boy for hard rock and even harder living. Now his long sweat-soaked hair has made way for salt-and-pepper short back and sides. Cold Chisel defined a peculiarly Australian fusion of pub rockabilly, metal and rough-house soul and blues with tales of loners, losers and lovers moving across the country. They came together in the southern Australian city of Adelaide in the 1970s. In April 1978, Cold Chisel released their self-titled debut album. The album reached the Top 40 on the Australian album chart, but it was their first single Khe Sanh that gained more attention and set the tone to come. Khe Sanh is the story of a returned Australian Vietnam veteran suffering post-traumatic stress. But not only is Khe Sanh a wordy ode to the disillusionment of an Australian Vietnam vet, it also embodies the contradictions of Chisel. Khe Sanh presents an image of Australian men struggling with the system, damaged but still holding on to their pride. It certainly pulls no punches lyrically and illuminates the hardened detachment of the character that just couldn’t look at life the old way anymore embodying many of the lyrical themes that ran through all of Cold Chisel’s work. “And their legs were often open/But their minds were always closed”. “hitting some Hong Kong mattress all night long”. Despite the initial setback, Khe Sanh has had a huge impact on the music scene over the past nearly 34 years and has become Cold Chisel’s signature tune and arguably the most popular among fans. Khe Sanh is one of the most popular songs ever recorded by an Australian act and is regularly seen as a resonant symbol of the Australian culture. It is this honky-tonk, kinda-country song about a mixed-up Vietnam vet who can’t settle down, who works on an oil rig “flying choppers when I can”, before he finally starts “drifting north, to check things out again”. There’s a lot of drifting and wandering, and a lot of traveling north. It’s like the music speaks to a restless energy in us, something about who we are and where we might go. Even though the Vietnam vet has "travelled round the world from year to year", searching for "the answer" as it's called in the song, and despite all the problems he faces in Australia, he would rather be here than anywhere else. This is why Khe Sanh is the national anthem. Over the decades since it was released, Khe Sanh has become embedded as part of Australian life, sung in drunken unison by groups of men and women, at barbecues and weddings. Firstly it was a song of a specifically Australian experience. The song highlighted our geography and our proximity to Asia as distinct from always looking to the old world of Europe and America. The direct sexuality of the song, which got it banned from radio, was always a part of the best Cold Chisel — the songs were never lewd, they just told it like it was. But most importantly, it was the song of a man who just couldn’t settle down in the ‘fast suburban chains’. Khe Sanh is a story of restless youth. Cold Chisel could themselves be seen to be struggling with the system during their appearance at the 1980 Countdown/TV Week rock awards in April 1981. The band had scooped the awards on the back of the runaway success of their album East, but they weren’t comfortable as the Kings of Pop. So they vented their frustrations by refusing to personally pick-up any of the awards and closed the evening with a brawling re-working of Barnes’ rockabilly gem My Turn to Cry, which, in its rewritten verses, damned the awards and savaged TV Week for its superficial support of the music industry and its sudden embracing of the band. the band demolished their instruments and the set like The Who. It was probably Cold Chisel’s most confrontational and controversial public moment. “I reckon our popularity comes down to a combination of good songs that people can relate to and that we sing with conviction”. For one Chisel fan this was taken to an extreme when he was fined $450 at the Townsville Light the Nitro concertand told he is “too old to dance” after his double fist-pumping moves had him removed from the concert by security guards. Khe Sanh is one of the solid-gold anthem songs of Australia. It is our post-Vietnam Waltzing Matilda. Ultimately it is here that our son of Australia wants to be, not wandering aimlessly around the world. And, slowly, he pulls himself up by his own bootstraps and, displaying a startling amount of resilience, decides to go back north “to check things out again”. It is this authentic Australian voice that has had Cold Chisel and their songs span generations.